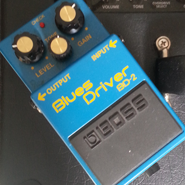 The Boss BD-2 Blues Driver pedal is my tip for someone starting on guitar who wants a bluesy crunch, light overdrive or an indie sound with a bit of bite. I think this pedal is fantastic. Of all the three I’m going to recommend it’s the one I would never get rid of. No matter how many other pedals and amps I have there could always be a time when I might need this sound in a hurry, and I’d reach straight for the Blues Driver. 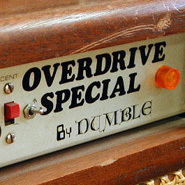 This pedal bridges the gap between crunch and overdrive. With the gain control down low you will have a clean-ish sound with a bit of break up – perfect for blues, indie lead lines or rocky rhythm that won’t overpower the other instruments. Push the gain up higher and you just start to get into overdrive territory. It’s the more organic overdrive of the early rock pioneers like Led Zeppelin and Free or bands like AC/DC whose sound straddles blues and rock, rather than being full on rock. I’ve also seen this pedal used to great effect as a boost for solos. If you have an amp (or another pedal) set to a slightly crunchy sound then the BD-2 can be used as a volume boost and to thicken the sound up for solos without affecting the tone too much – a bit like having an extra channel on the amp. A good friend (and great guitarist) who plays in a Rolling Stones covers band does this. It’s the only pedal between his guitar and his amp. I’m a big fan of Premier Guitar magazine’s Rig Rundown videos, and I’ve seen this pedal crop up in the rigs of Billy Joe Armstrong (Green Day) and Snowy White (Pink Floyd, Thin Lizzy, Peter Green, Roger Waters’ The Wall tour). Both use it as their main lead boost option. It’s certainly not just a rhythm pedal. It’s worth spending a bit of time with the tone control of the Blues Driver to uncover all its different options. With the tone rolled all the way down you get a thick but still very usable sound. Good for rock rhythm, especially if you are the only guitar. 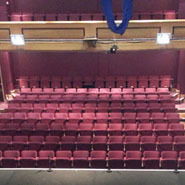 It retains a surprising amount of clarity despite having cut away a lot of treble. If you turn the tone all the way up you get more high end than you are likely to need. It becomes quite shrill indeed. Too much for rhythm playing unless you’re using it as some kind of effect. However, a bit of a treble boost might be handy if you’re using this pedal as a boost for solos, so it’s nice to know there’s plenty on tap if you want it. I usually set the tone control to 12 o’clock, set up my guitar and amp with the clean sound I want, then switch on the pedal and tweak the gain and tone controls until I get the crunch sound I’m looking for. 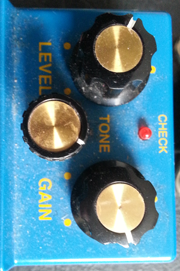 Then I’ll set the level of the pedal depending on whether I want it louder or at the same volume as my clean sound. If you’re using the pedal as a boost going into an amp that is already slightly overdriven it’s important to remember that as you increase the volume on the pedal (the Level knob) the amp will distort more. If this is more drive than you are looking for then you can back off the gain on the pedal to compensate. So when using this method it’s important to keep in mind that those two controls will affect each other and you might need a bit of trial and error to get the right balance between volume and the amount of drive when the pedal is switched on. This pedal is currently available for £65 new from online retailers. You can pick up a second hand one on eBay for around £45 including postage. I’ve had mine for at least 15 years and it works as well today as it did when I bought it. Get yourself one. Here’s a little tune I put together to showcase the Blues Driver. 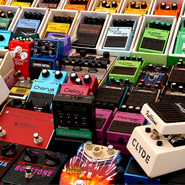 All the guitar sounds use the pedal with various tweaks to the tone and gain settings. The only other equipment was a Blackstar HT-5R amp set to clean and a Yamaha Pacifica guitar. I definitely made use of the coil splitting feature on the Yamaha’s bridge humbucker using the single coil for the lighter rhythm sounds and switching to the full humbucker for the heavier lead sections. There’s a bit of neck pickup soloing in there too. Other crunch / light overdrive pedals that deserve a mention are the Electro-Harmonix Soul Food (£40 new) and the Joyo Sweet Baby (£26 new). 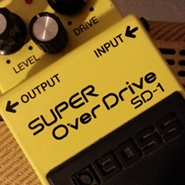 Both offer even lighter overdrive than the Blues Driver. I have a Sweet Baby and love it as a boost without affecting my tone too much. Let me know if you have any recommendations of good blues / crunch pedals.